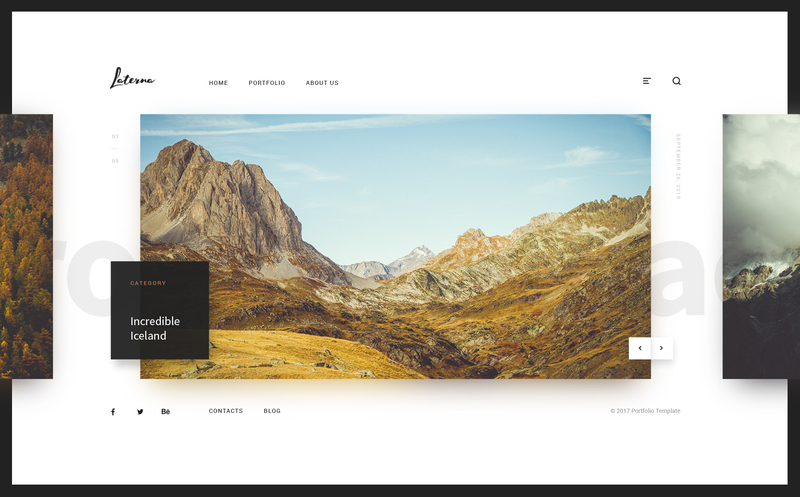 Hi, I would like to introduce my new photography template made in bootstrap framework! 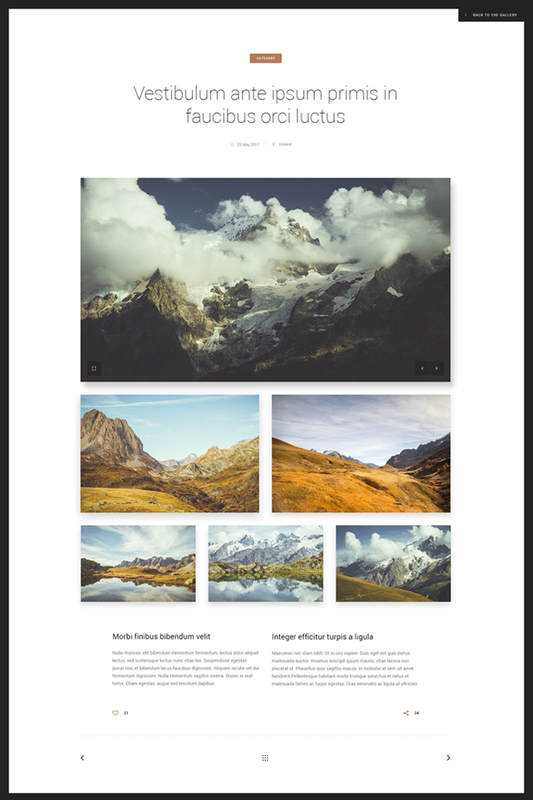 As all of the photographers have their own style, how their website will look is essential to them. Therefore, I wanted to make this premium theme unique and create 2 versions of it. Photographers who prefer darker colors have the ability to choose dark one, however, if you prefer lighter design then you have a great way as well. Both dark and light version, have the same content. 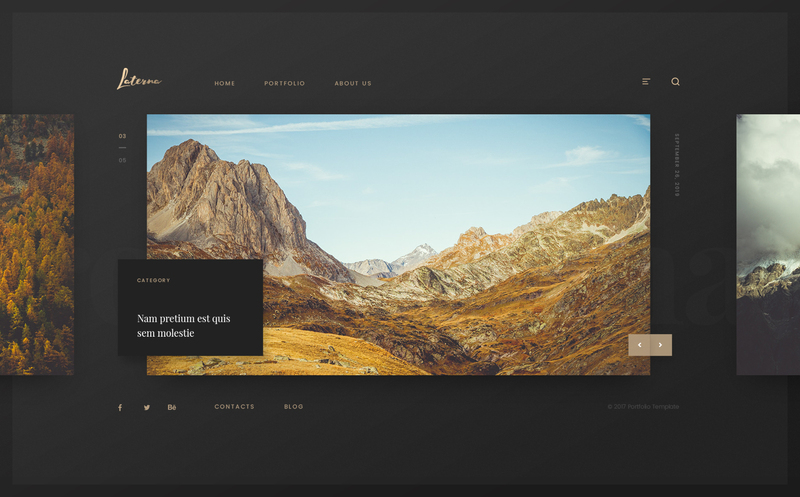 It includes 2 versions of home page, with different slideshow styles, so that you have the freedom to choose which style you would like more. I also created 2 kinds of photo galleries. They both have exceptional design and I think photographers would appreciate both one of them. However, it is up to you to choose which one you will leave for your website. Template package includes detailed instruction about: how to customize this template. I put a lot of effort into making this theme and I want all of my customers to be happy. Therefore, if you have any questions please contact the support team, so that we help you out with your issue. ï»¿Images are used for promotional purposes only and are not included into the pack. I installed my website template #67873, but my contact form does not work. How can I fix this problem? Cordial greetings.